Agostino Arioli, a pioneer in the production of craft beer in Italy, is the owner and founder of the Birrificio Italiano at Limido Comasco (in the province of Como), the first one in Lombardy. He has won for much time international authoritativeness thanks to the links established over time with various associations and the awards he obtained in numerous competitions which led his beers to a strong reputation not only among few connoisseurs. His competence allowed him to become a member of the panel of judges of the World Beer Cup, the biennial event organized by the Brewers Association which gathers in the USA the manufacturers who pay more attention to quality. In addition, Agostino Arioli often finds himself in the role of chairman at the 'Craft beer conferences' with which the Brewers Association gathers brewers from all over the world in order to compare each other's experiences. This also happens during the Firestone festival, which takes place in California and to which strictly selected breweries and guests, including Arioli’s brewery, participate. They spill there their products, in order to take and offer inspiration and ideas. These incitements are also given and received at the European Beer Star of Munich, in Bavaria, another competition in which Arioli participates as a judge. 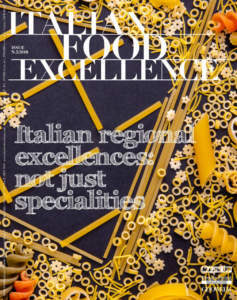 In short, thanks to this set of presences, the Italian brewmaster has accumulated his knowledge, creating new recipes and gradually refining them, with an increasing fame. The labels of the Birrificio Italiano, which is expected to close 2014 with a production of 5 thousand hectolitres, are already distributed in the United Kingdom, Scotland, Germany, and Japan in bottles whose sizes range from 0.33 to 0.75 litres and not returnable drums whose capacity is of both 20 and 30 litres. On the other hand, in the USA the beer is shipped in refrigerated tanks and put into drums there. This is a good practice for a product which must travel in the best way and with the highest possible speed, in order to be consumed within a reasonably short time. The production of low-fermented beers is not common for craft breweries, because higher investments are needed, too. Arioli remarks: «I felt up to make these investments, because I was convinced of being able to meet a widespread demand among consumers, who sometimes like light and drinkable beers». The Italian brewmaster has a bent to experiment respecting an organoleptic balance. He interprets the tradition according to his personal taste. «After all, what is the Italian tradition of beer brewing? I produce what I like most. I do not feel tied to fixed rules. 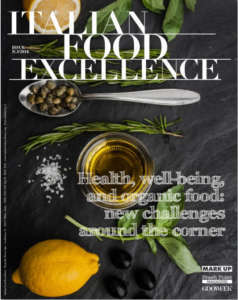 I am inspired by all brewing schools and design my recipes with the goal, this time rigorous, of obtaining a pleasant drink, satisfying for sight, smell, and taste». 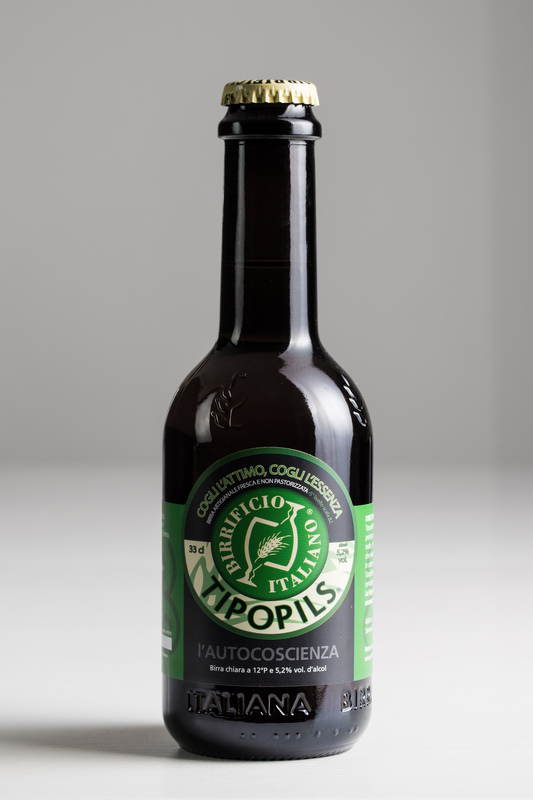 Tipopils (5.2% alcohol) is characterized by an almost clear golden colour, with white, abundant, fine and compact foam. Its aroma reminds hop flower, with a vague hint of honey. Its taste is elegant, with a dry finish dominated by bitter flavour. Amber Shock (7% alcohol) is a double malt beer characterized by a slightly amber colour, clear, with plenty of foam and an intense aroma of citrus and tropical fruit, with hints of toast. It is full-bodied, reveals sweet notes of hazelnut and almond in a perfect balance with its final bitterness. Bibock (6.2% alcohol) is an amber-coloured beer, with orange highlights, almost clear, with generous foam. Its citrusy aroma is well perceived and joins the caramelized aromas of malts. In the end, in its taste the hop prevails with its aroma, which emerges again with very British, spicy and resinous notes. 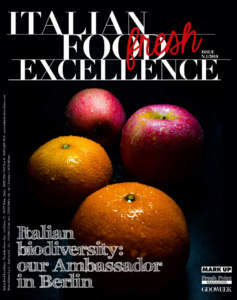 Arioli warns: «Bibock is fresh and rich, and at the same time dangerously drinkable». Sparrow Pit (10% alcohol) is a ‘barley wine’ characterized by an intense golden colour, with some clarity. Its foam, as it is typical of this beer, is fine, abundant, but dissolves quickly. The sense of smell is affected by the presence of alcohol, unusual for a beer, but it is fortified by notes of citrus and herbs. Its flavour is characterized by warm fullness and fineness, thanks to the two years the beer spends in oak barrels (in the special version ‘Brq SP’), with a taste which reminds either plum-cake or raisin wine. Cassissona (6.5% alcohol) is strong and exuberant. It is amber-coloured, with copper reflections. In the glass it shows itself with compact foam, with soft pink shades. In its scent notes of yeast, berries, and grapefruit emerge, while its flavour is definitely dry. Its character is distinguished by the addition of black currant berries and the second fermentation in the bottle for at least six months. 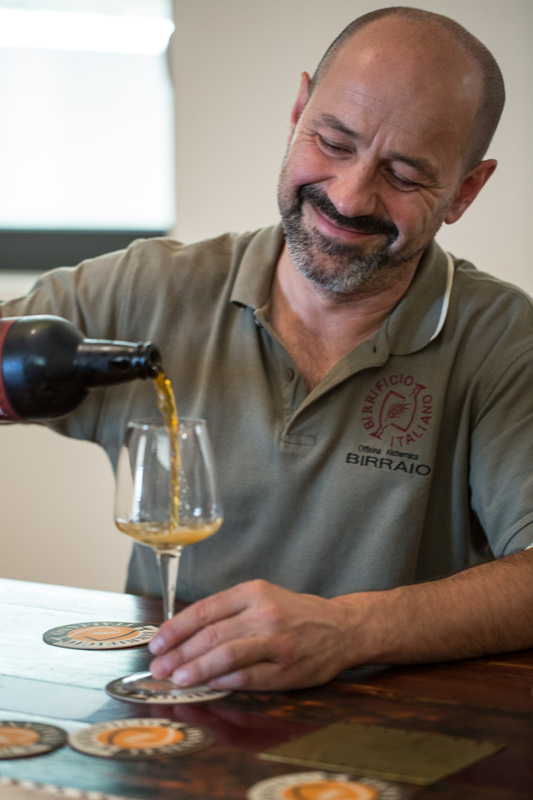 Arioli, who annually produces 18 beers, some of which are only seasonal, specifies: «I move innovating in full, but often according to a sort of variations on the theme, too». 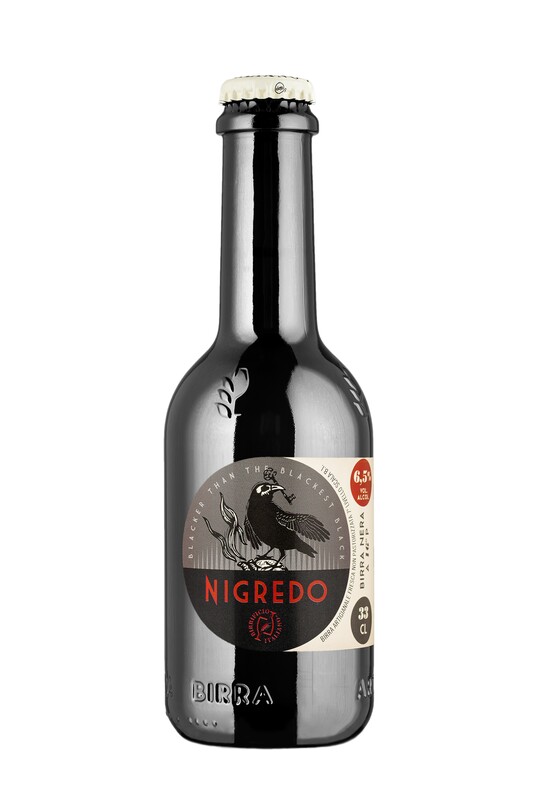 His most recent ‘creature’ is Nigredo (6.5% alcohol), an interpretation of a German Schwarz beer, but with more alcohol and hop. «It is well structured, but at the same time drinkable». Nigredo is a low-fermented beer, with a decidedly bitter taste thanks to the generous use of German hops only, among which Hallertauer Mittelfrueh dominates. Nigredo, which looks almost black, is also distinguished by the roasting, to which a part of the hop used is subjected, which makes its aromatic profile very special. It is a practice unknown up to now in the brewing world. It was born from Arioli’s intuition, because he is always looking for new tasting boundaries and he is a passionate connoisseur of medieval alchemy, a sort of proto-chemistry. Arioli explains: «Nigredo is the first stage of the alchemical process. The production of malt and beer has been for centuries intimately connected with alchemy, so that the symbol of German brewers, two triangles into one another to form a six-pointed star, is just an alchemical symbol. The first triangle represents the three major phases: Nigredo, germination and malting; Albedo, saccharification; Rubredo, fermentations. These are the three major brewing changes. The other triangle indicates the three elements: water, air, and fire». The Birrificio Italiano is also local brewery-pub which offers a good range of courses as an accompaniment to its beers. Nevertheless, Arioli does not consider the pairing with food as crucial for enjoying a good beer: «We must not confuse it with the wine. A beer must be drunk and we must have the opportunity of speaking about it alone, when it shows itself with a balanced and constant quality».